One of the best-known sections of the Book of the Coming Forth by Day (The Book of the Dead) in the Papyrus of Ani is the Negative Confession. 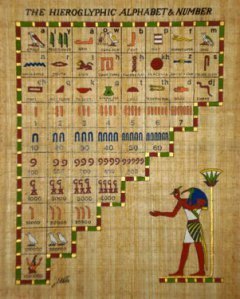 The forty-two Gods and Goddesses of the Nomes of Egypt conduct this initiatory test of the soul before the scale of Ma’at. In this translation by pioneering Egyptologist E. A. Wallis Budge, we hear the initiate’s assertion of blamelessness before the Court of Osiris. For clarity, divine names and city names in parentheses have been added to the 1895 text of Chapter 125 from Budge’s 1913 edition.